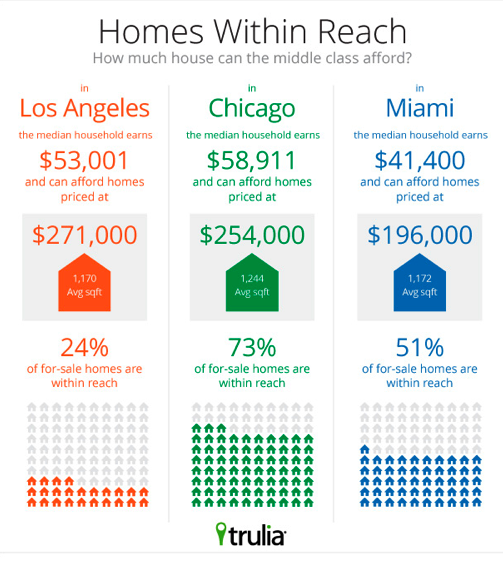 The Middle Class Can Buy a Home in Chicago! October 15, 2013 - The Middle Class Can Buy a Home in Chicago! A recent article from Trulia tells us that the typical middle-class household can afford more than 80% of the homes on the market across much of the Midwest! Obviously this number shifts when moving around the country but GOOD NEWS for people looking in our area! If you’re searching for a new home in Chicago, the article tells us that 73% of homes available are within reach for the middle class. Click here to read the full article.